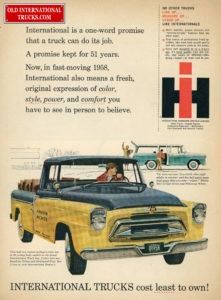 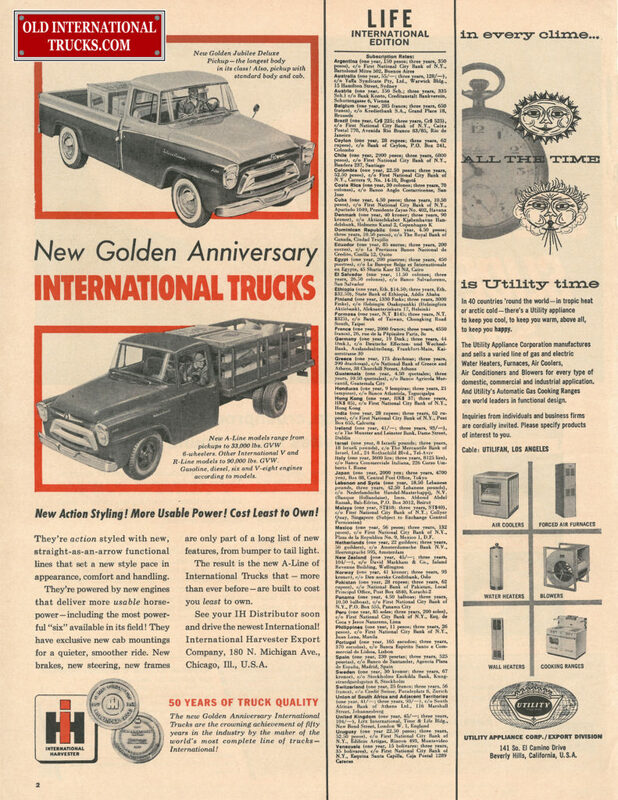 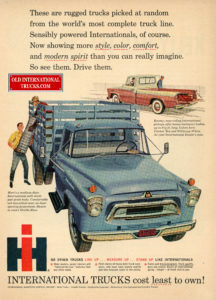 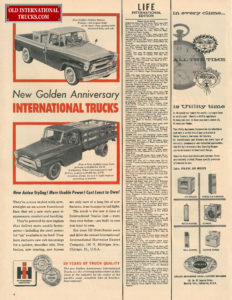 A-100 pickup truck and travelall are pictured in ad, international trucks cost less to own! 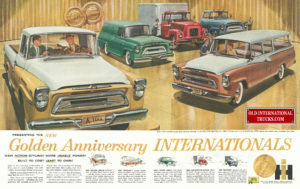 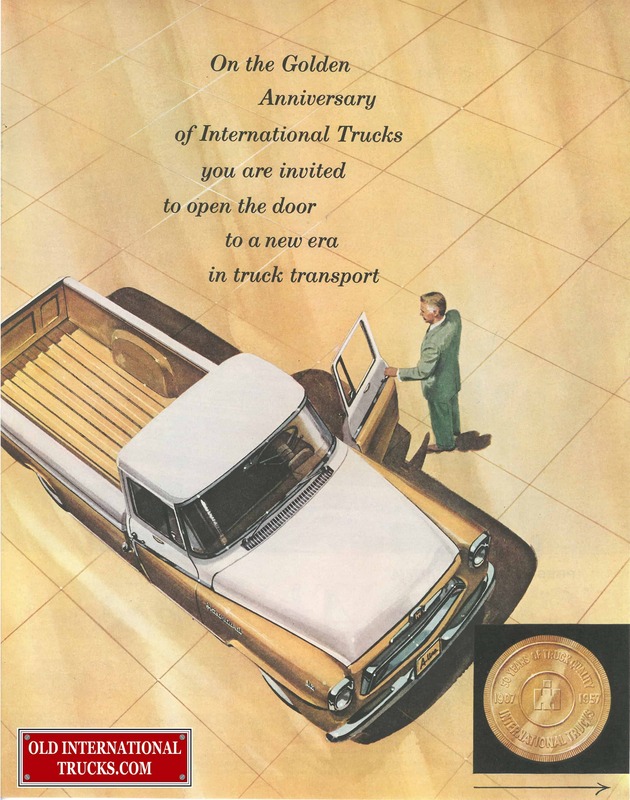 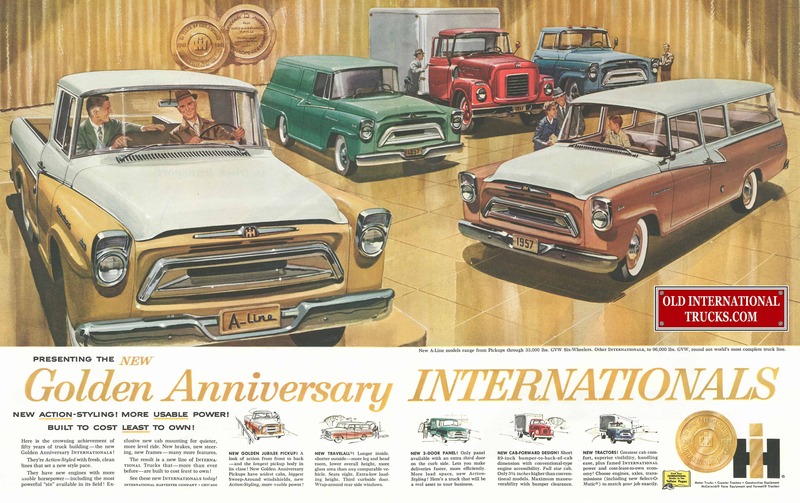 1957 Golden Anniversary Internationals truck line up. 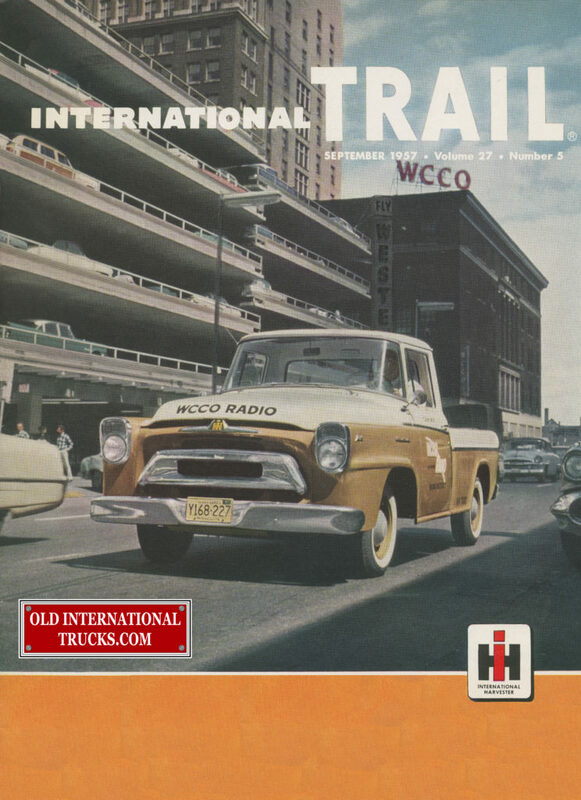 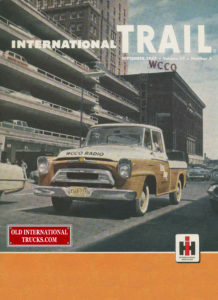 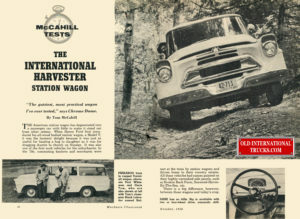 1958 the International Travelall road test.